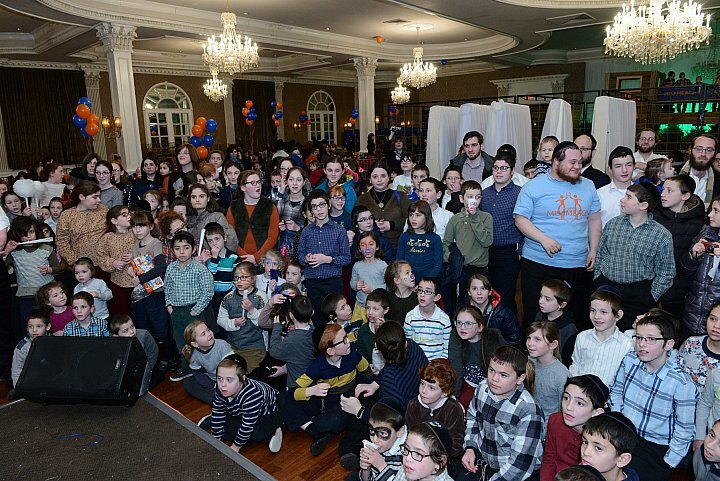 February 2, 2015 - Bear Givers donated bears for Misameach's Midwinter Party, an eagerly anticipated event, providing sick children and their families with a magical evening of excitement and entertainment. Parents talk about how their children count down the months until the party and how much this oasis of joy and light means for them in their world of darkness and suffering. Misameach deals with sick children and adults all over NY, NJ, Maryland, Massachusetts, and Philadelphia. Dedicated volunteers make daily visits to the sick in dozens of hospitals and hundreds of homes, to bring joy and light into their lives of suffering.